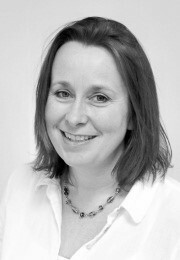 Rachel joined INTRAC in 2011. She worked for five years in the world of European policy-making and cooperation programmes, followed by ten years in academia specialising in international development with a geographic focus on sub-Saharan Africa. Rachel has a PhD and MSc in African studies from the University of Edinburgh and a post-graduate degree in development studies from the Université Catholique de Louvain in Belgium. Joining INTRAC has enabled Rachel to bring together her passion for strengthening civil society with robust applied research and a healthy dose of critical reflection. Rachel is a member of INTRAC’s senior management team and oversees INTRAC’s research, convening, communications and publications portfolio. She advises INTRAC’s consultants and trainers on research methods and trends affecting the sector. She has worked with numerous NGOs and donors, and is actively involved in several academic associations and development networks, including the Development Studies Association and the International Society for Third Sector Research. She speaks French and German, and has a working knowledge of Spanish. Tackling the SDGs through research: how can civil society contribute?